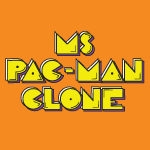 You asked for it, and now here it is a Ms. Pac-man Clone! In this specific video I’ll cover how to draw all the sprite assets in Gimp including the Ghosts, Ms. Pac-Man, GameBoard, Dots, etc. Then we’ll cover how to create a pixel precise grid layout, setup our project, create sprite sheets, create animations, sorting layers, and so much more! Understanding how grid based games work will dramatically increase the number of games you can make. You can get all the images here. If you like videos like this, consider donating a $1, or simply turn off AdBlock. Either helps a lot!